Pedro de Sá is a portuguese guitar player,founder of the project Saephe. 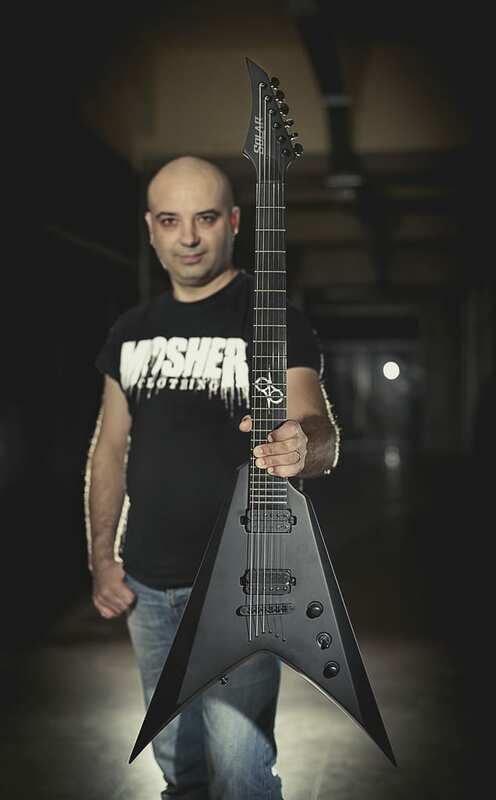 He started playing guitar in 1993 and became student of guitar player Rodolfo Cardoso of portuguese metal band W.C.Noise in 1994 untill 1997. After a 10 years hiatus period, in 2007,He returned to is former teacher a now Oporto Conservatory graduated Producer,and started to show Him, some of the compositions he have done in the past years. They began recording, a process that never cesead. In 2016 he met Jisus Rocha & Pedro Magalhães from the band Sotz and another colaboration began. Currently he is recording Saephe debut album. -Solar Guitars are the turning Page in Guitars history!